These gloves are free from latex protein so are suitable for users with a latex allergy. 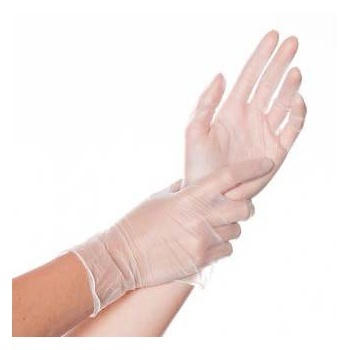 The gloves are white-transparent vinyl with a rolled edge, tear-resistant and very elastic. They can be worn on both hands, have a good touch and are very skin-friendly. Note, these gloves are only suitable for use with non-greasy food. 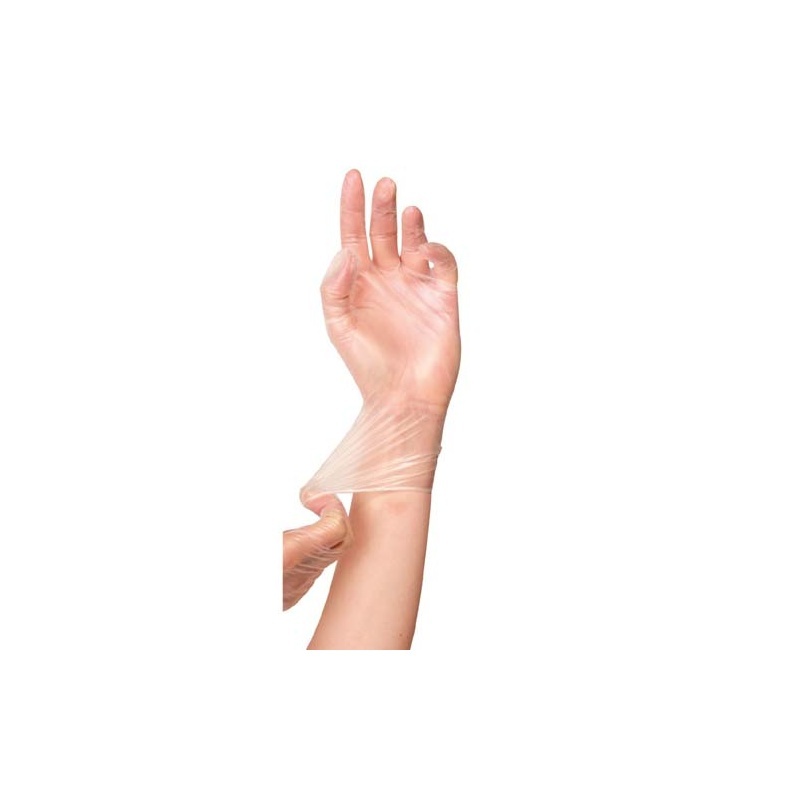 They are a cost-effective alternative for applications where a frequent change of gloves is required such as the food industry, quality control, warehouse work, packaging, sanitary area, electrical industry, medicine and nursing. Suitable for non-greasy food, medical and sanitary purposes.